The wooden anti-burglar DT-PW/II door is designed to effectively protect the interior against attempted burglary. Its design is an attractive element of an apartment’s arrangement as well as the staircase. This type of wooden security door is intended to be used as an interior entry door. It meets the high requirements of PN-EN 1627:2012 in Class RC3 and is also suitable for use in harsh conditions, corresponding to Class 4 of PN-EN 1192:2001, which is important for security doors not only in residential homes but also in public buildings where the doors are exposed to constant opening and closing. The door leaf is mounted on a finger-jointed softwood frame. The inner filling is made of solid chipboard, reinforced with additional internal rails and steel bars. The sheathing of the anti-burglar door leaf is made of aluminium sheeting and HDF a doubly layered plate. The sides and upper edges of the leaf are covered with skirting tape, which is 1.0 mm thick, in the same colour as the leaf. The leaves are available with aluminium inlays in silver or black. The Type II door is equipped with an expanding seal placed on three edges of the door. 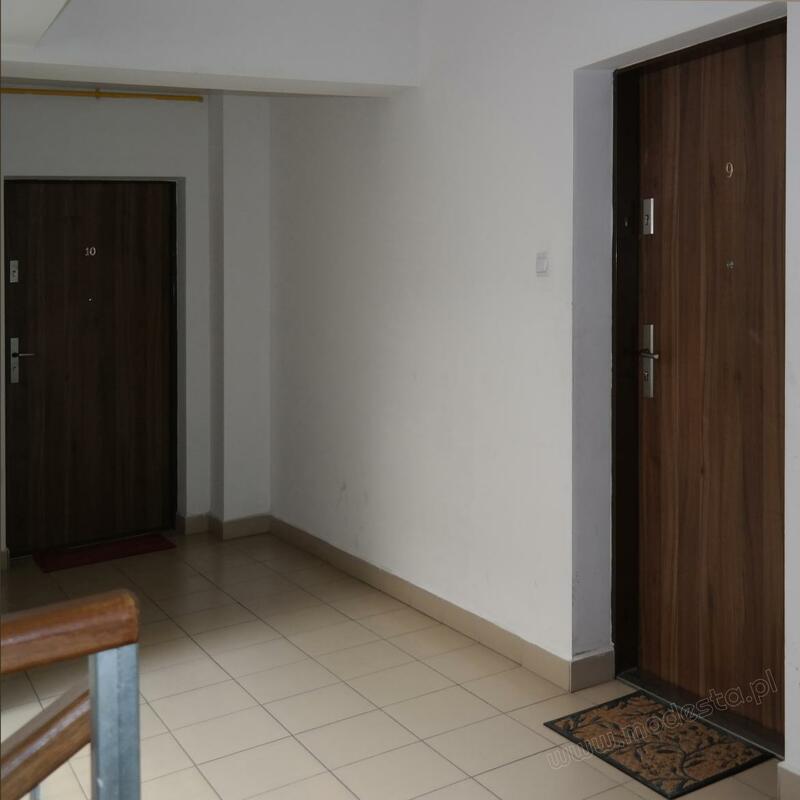 From our point of view, the manner in which a door harmonises with the interior of an apartment is equally as important as its properties and functions. The selection of designs and colours is comprehensive; the door finish can be made of CPL veneer, HPL, timber-simulated PVC veneer, acrylic varnish or standard/select natural veneer. - A multipoint strip lock. - Two Class 6 anti-theft inserts, each with a set of identically coded keys. - A door handle with a safe, anti-burglar escutcheon, an upper escutcheon, and four security bolts. - An optional panoramic viewer. The stringent RC3 Resistance Class anti-burglar requirements, as prescribed, are met by correctly selecting the appropriate lock for the DT-PW/II wing leaf within the frame. The strip lock guarantees solid, multipoint locking. The principal and additional locks are equipped with Class 6 anti-burglar inserts as standard and are supplied with a set of identically coded keys, which are suitable for both inserts. The handles are mounted on secure escutcheons in the PN-EN 1906:2012 Class, which is no lower than 3. On the hinge side, the leaf is equipped with four solid, burglar-proof bolts to prevent removal of the leaf should the hinges become damaged or cut. is equipped as standard with a steel corner frame made of galvanised, powder-coated, 1.5-mm-thick steel sheeting in standard colours or in the full range of optional RAL colours. The door leaf is suspended on three reinforced hinges made of three elements or on optional concealed VX7939/100 stainless steel hinges. The Type II DT-PW wooden entrance door not only provides excellent burglar protection but is also an effective, albeit passive, fire protection measure. The door is of the Class EI 30 type and has insulation, fire resistance, and is smoke-proof to Sa/Sm standards. All doors are well sound-proofed. Smoke protection and the excellent acoustic properties are achieved through circumferential sealing in the keyway of the door frame as well as in the sealing at the bottom of the door leaf using a standard stainless steel threshold or an optional automatic drop seal. - RC3 Class burglar resistance. - Compliance with the Type II, EI30, resistance and insulation class, further to PN-EN 13501. - Acoustic insulation Rw = 32dB. - Smoke protection in the Sm class according to PN-EN 13501, provided that threshold seals are applied. - Class 4 mechanical strength. DT-PW doors are mostly used in residential buildings as entrance doors to apartments. They are also mounted in public buildings as protection for areas at medium or high risk of burglary.